News of perhaps the largest defamation settlement in U.S. history came and went with a whimper last week. In two footnotes in its third-quarter earnings report, The Walt Disney Company whispered that it spent a cool $177 million—not including additional cash from insurers—“in connection with the settlement of litigation.” A lawyer for Beef Products Inc., a food processing company that sued Disney-owned ABC News after damning coverage of so-called “pink slime” in 2012, later confirmed it was the recipient of the massive payout. What’s striking isn’t just the size of the sum, or that ABC agreed to it before its lawyers started making their case at trial. It’s that the network continues to stand by its reporting (no retraction, no corrections, nada), which remains on its site. In a world where the free press is under attack from politicians, the public, and billionaire Silicon Valley vampires, one of the few companies with the resources to mount a legal defense of journalism instead chose to pay its assailants to shut up and go away. Indeed, the $177 million figure would be the largest payout for a libel claim against a media company that the Media Law Resource Center has recorded, according to Michael A. Norwick, a staff attorney at the New York nonprofit. “It’s chilling to think there would be liability in this amount,” he added. When the settlement was first announced in late June, ABC explained in a statement that “continued litigation of this case is not in the company’s interest.” But, it added, “we remain committed to the vigorous pursuit of truth and the consumer’s right to know about the products they purchase.” Representatives for ABC and Disney did not respond to requests for comment for this piece. So let’s examine ABC’s “vigorous pursuit of truth”—and how the company’s financial calculations appear to have ultimately prevailed over it. The saga showcases how the food and agriculture industries have erected a legal framework to bend the First Amendment to their will and shield themselves from accountability. Journalism is at threat in that environment, and the story of ABC’s massive settlement holds the potential to embolden others who want to prevent you from learning what’s in your food. South Dakota-based BPI first came under national media scrutiny in 2009, when a Pulitzer Prize-winning New York Times exposé questioned the safety of the processed meat it sold to many of the nation’s grocery stores, fast food chains, and school lunch programs. Department of Agriculture emails cited in the reports surfaced the nickname “pink slime” for the ammonia-treated beef product, which BPI markets as “lean finely textured beef.” It quickly became a target for food activists, and McDonald’s, Taco Bell, and Burger King stopped buying it. Enter ABC News. The network launched a multi-part investigation into BPI in March 2012. The first installment, embedded below, was a standard investigative package for a broadcast news show, attributing criticisms of BPI’s processing method to expert sources and raising questions over how “lean finely textured beef” got USDA approval. 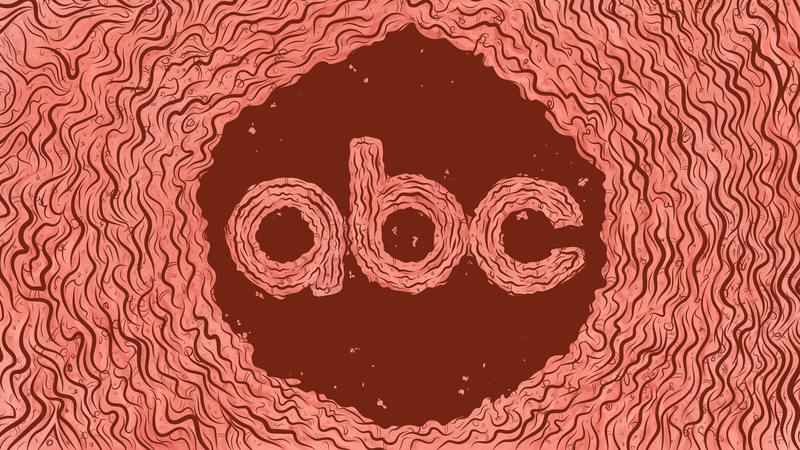 Further installments followed over the next month, with ABC hammering home the “pink slime” moniker in something of a consumer advocate crusade against this “cheap filler” made from “low-grade beef trimmings.” The not particularly surprising upshot: This type of processed meat was gross. The public backlash to the product that began before ABC’s reporting continued, and BPI closed multiple plants and let go of hundreds of workers amid plummeting sales. Put aside, for a moment, the sensationalism with which ABC sold this particular story and that TV news employs in general. It was a fairly good example of how journalism is supposed to work: A news organization accurately surfaced information about a subject; the public responded; and the subject of that reporting faced consequences. Yet BPI quickly brought a defamation suit against ABC and its sources for what it described as “a month-long vicious, concerted disinformation campaign” that suggested its product was neither beef nor fit for human consumption. BPI alleged “fake news” before fake news was a thing, seeking damages up to $1.9 billion. ABC News brass responded at the time that the suit was without merit and the company would contest it “vigorously.” Legal experts gave BPI’s case little chance of success, as plaintiffs in defamation suits must prove that a publisher knowingly put out false information with the intent to harm—what’s called “actual malice”—or recklessly disregarded the truth. But South Dakota is one of 13 states with food disparagement or “veggie libel” laws, which generally lower the bar food or agriculture companies must meet to prove defamation by their critics. Industry lobbying groups pushed the statutes in the 1990s, after Washington apple farmers unsuccessfully sued CBS News for reporting that they used a carcinogenic chemical on their crops, igniting a national health scare. The most famous test of such laws came in 1998, when Texas cattle companies sued Oprah Winfrey after she ran a segment on beef safety. The ranchers eventually lost at trial. In South Dakota, the law defines disparagement as “dissemination in any manner to the public of any information that the disseminator knows to be false and that states or implies that an agricultural food product is not safe for consumption by the public.” It also allows triple the damages awarded to plaintiffs. There are small pivot points on which the outcome of any legal proceeding can hinge, and this case was no exception. BPI lawyers in 2013 prevailed in getting the case kicked from a federal to state court, and then, in March 2017, a judge in South Dakota’s Union County Circuit Court denied ABC’s motion to dismiss the suit. Trying the case in state court forced the network’s lawyers to prove that repeatedly referring to a processed meat product as “pink slime” didn’t imply that it was unsafe. And they’d have to do so before a jury selected from BPI’s home turf of South Dakota, where Federal Election Commission records indicate more than 61 percent of voters last year supported a presidential candidate who made “fake news” central to his campaign rhetoric. After just three and a half weeks at trial in June, ABC decided to settle before its lawyers presented their case. There are numerous reasons why ABC or Disney, which posted a $2.37 billion profit in the third fiscal quarter alone, would prefer this outcome. But from the vantage point of a bloodless multinational entertainment company, it’s not hard to see how $177 million—and likely much more paid by insurers—is a more appealing financial hit than the $5.7 billion in damages possible under South Dakota law. Such a liability would certainly hang a cloud over the oft-repeated speculation that Disney might one day spin off ABC and its costly news division. “All libel settlements are some kind of a calculation,” said Dalglish, who was formerly the executive director of the Reporters Committee for Freedom of the Press. That calculation, she added, likely took into account the anti-press vitriol that’s not only more intense in red states, but also aimed primarily at New York-based national media, like ABC. Which is why the whole situation stinks like rancid, finely textured beef, particularly in the age of Peter Thiel. Public resentment for media institutions is seeping into the U.S. legal system. And such legal threats toward journalists are particularly glaring in states, such as South Dakota, with “veggie libel” laws. Local newspapers and TV stations with much smaller legal war chests are likely taking note of ABC’s settlement. It was only business, he added. And for a well-heeled company that produces journalism, the cost of doing it is paying hundreds of millions of dollars for calling an icky meat product icky. While ABC is trying to have it both ways, the rest of us cannot.